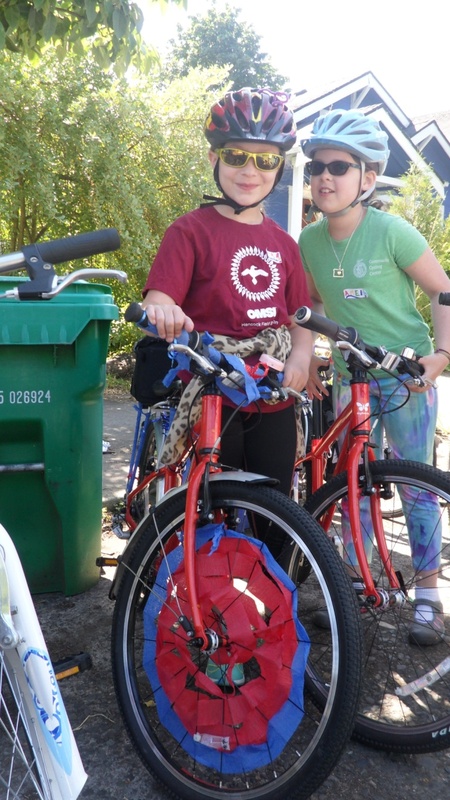 When it’s Bike Camp time in the summer, the mornings at our bike shop become quite busy. 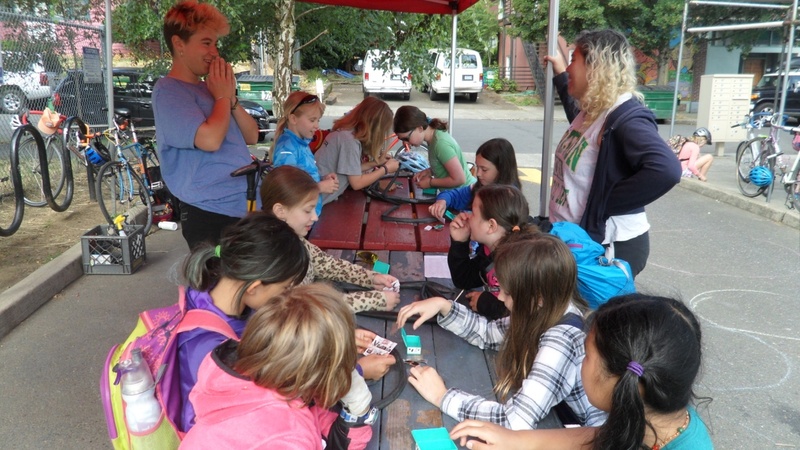 Kids flock to the back of our shop, eagerly looking for their new-found camp friends and decorating their camp “Pedal Passes” with sharpies and stamps. I was lucky enough to shadow the Girl Cruisers Camp for two days last week. It was such a delight to feel the energy and the expectations for another fun day in the air. When all the campers arrived, the camp instructors Patty and Lily started off by checking the agenda of the day with everyone. The girls “always have a pretty good idea of where they want to go,” Patty told me. When opinions were divided, they asked the girls to close their eyes and do a blind vote. All very democratic. We biked to, on average, three parks each day and also visited some partner organizations. 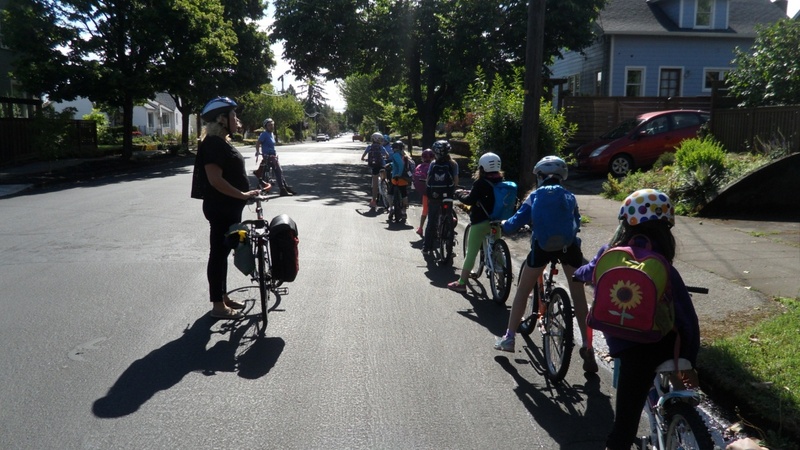 The campers even biked all the way from our Alberta shop in Northeast to Hawthorne Bridge and the Steel Bridge on the second day of camp. It was quite a challenge, but the girls loved it and were very proud of themselves—as they very well should be! 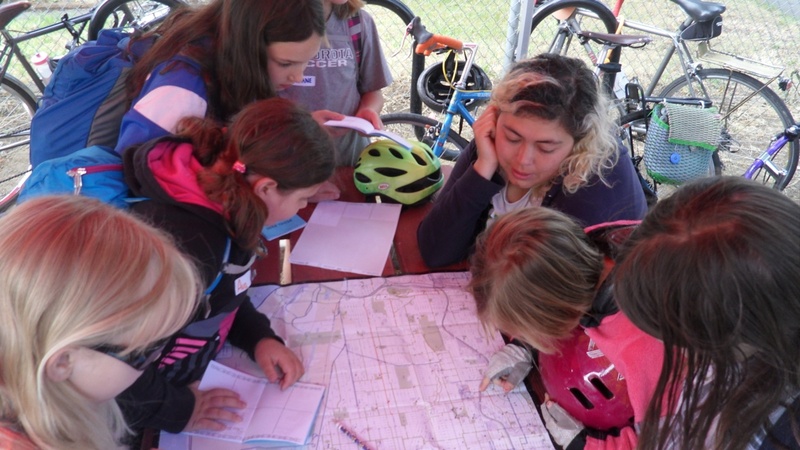 In addition to practicing bike skills on the road, the girls also learned about bike signals, rules of the road, bike anatomy, and patching inner tubes. 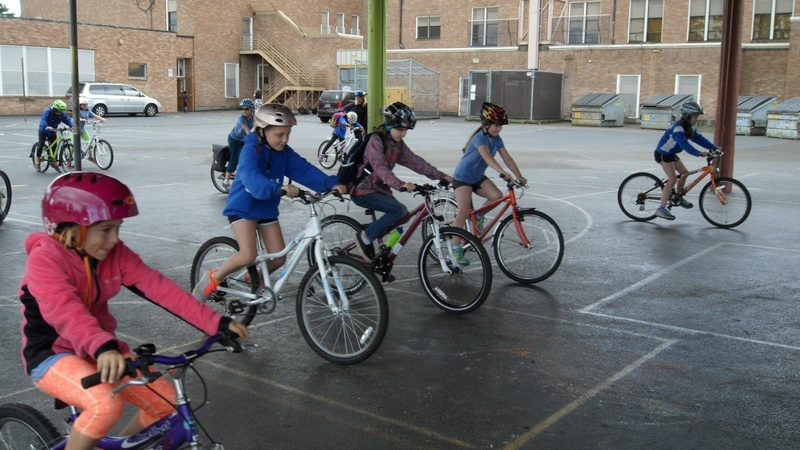 Lily and Patty also led some fun bike games to help them improve skills. “My favorite game is Footdown!” one Flaming Ice Girl—as the campers chose to call themselves—told me without hesitation when I asked about her favorite game. That’s a game similar to Musical Chairs where everyone rides as slowly as possible in a circle without putting their feet down on the ground. 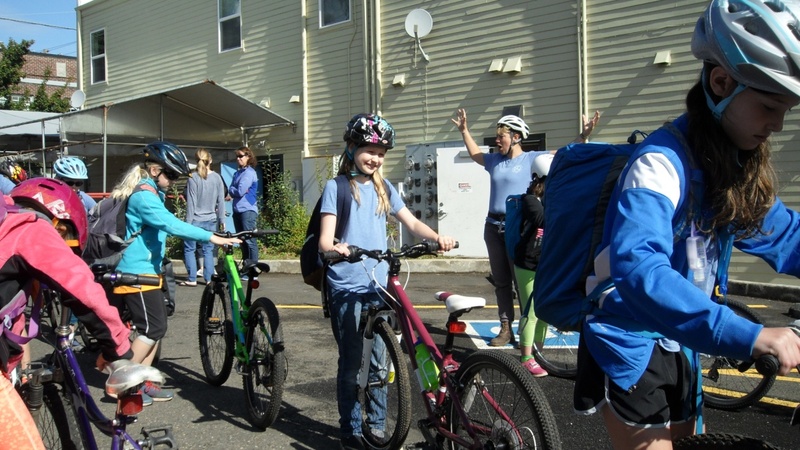 The Girl Cruisers Camp was not only a success in terms of biking fun, it is quite a special one because of the group dynamic. The nine- and ten-year olds made up a very inclusive group, where the girls bonded with each other and with Lily and Patty. Patty was very impressed. 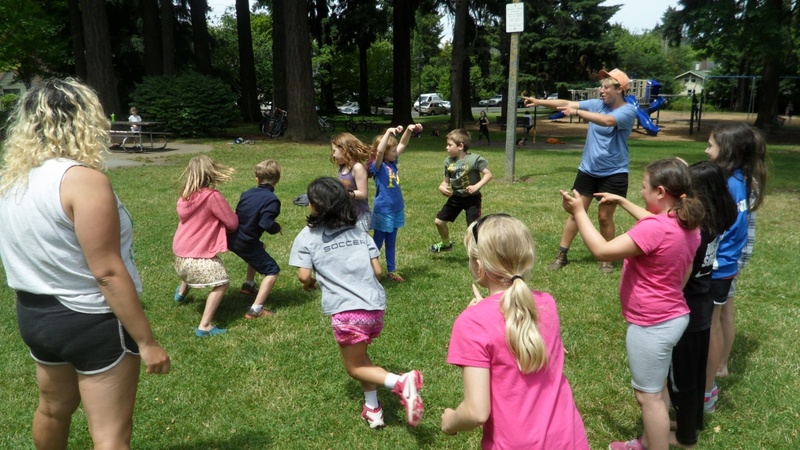 “I’ve never done a camp where all the kids wanted to participate in one group game before. This camp is really unusual. There were always some kids who weren’t interested.” The Flaming Ice Girls took turns choosing games and leading the bike ride. They also were very considerate and looked out for each other when someone had minor injuries on the road. It happened to be one of our campers birthday week, so all the girls decided to help her celebrate by decorating her bike with ribbons and paper tissues. The Flaming Ice Girls had a lot of fun making up their own games. 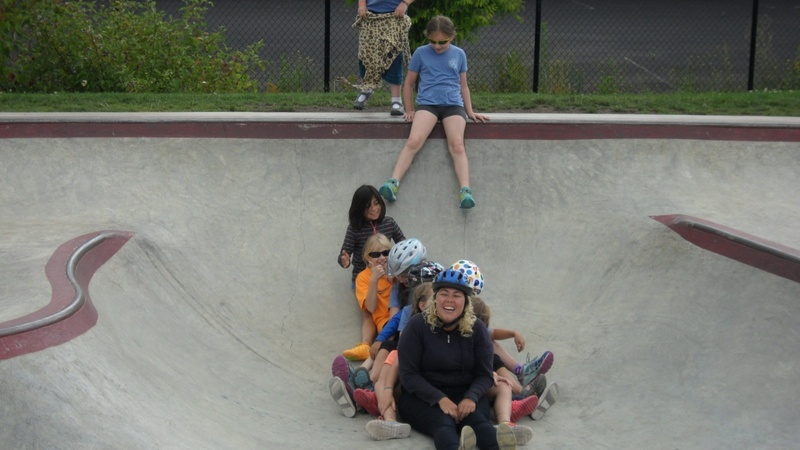 When we were at Khunamokwst Park, the girls were very creative and turned the skate park into a big slide. Before I knew it, the girls were sliding down the slope one after another and forming a long line along the slope, with Patty at the front! There was a lot of laughing and screaming involved. Some girls also started running up and down the slopes, trying to land on the rim with their feet. Others then made the running route longer and longer, upgrading the game to more challenging levels. Every time a girl was about to launch on their adventure to conquer the slope, others cheered them on, chanting their name together. Of course, Lily and Patty sat right next to their “landing point” on the rim to make sure they could safely make it up the slope. Everyone became very giggly at the end. The spontaneous game was a great success. On the last day of Bike Camp, one of the Flaming Ice Girls forgot her lunch bag, so everyone thoughtfully shared some of their own snacks with her during the snack break until our camp coordinator Jake could save the day with a special lunch delivery. While waiting for Jake, a camper said, “We have to wait for Meiling. She doesn’t have her lunch yet.” Though quite hungry themselves, all the other girls agreed and went to play in the park without any complaint. After Jake showed up with some delicious food for Meiling, we all sat together that day in a big circle and enjoyed our delicious lunch together while chatting. 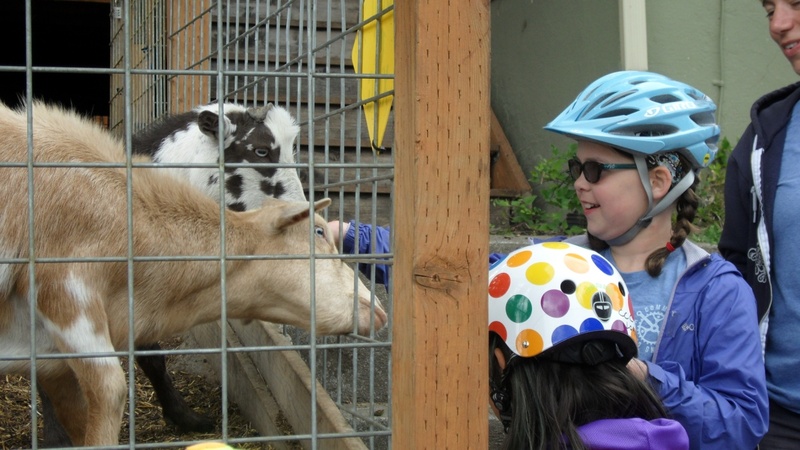 The lovely picnic lunch was followed by even more highlights—surprise popsicles in the park and petting goats at a backyard farm. What a wonderful way to end a camp week! 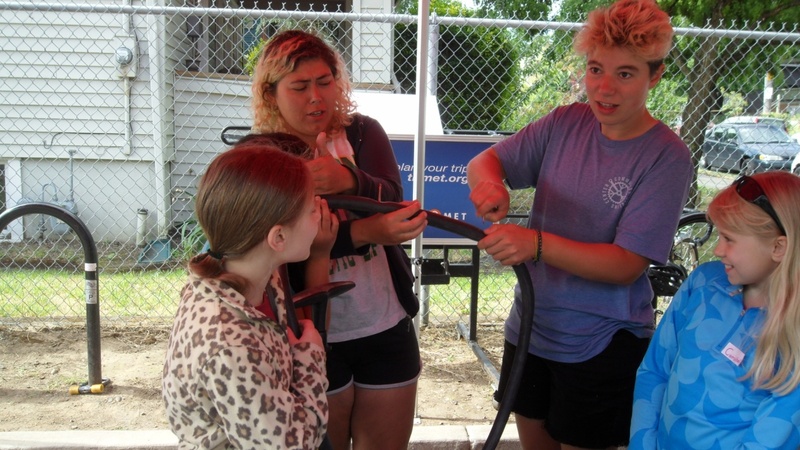 To learn more about our amazing camps, click here. Only limited openings available at a few of the camps. Check them out before they’re gone!